In a production, manufacturing and supply chain setting, label durability is a key operational element. Whether it’s labels used in warehouses, asset tracking, electronics/PCB or calibration, the ability for a label to withstand wear and tear while remaining readable – or scannable – is crucial. The labeling market is always changing to accommodate shifts in production techniques, which in turn drives innovation related to label technology. When speaking to Label & Narrow Web, Tom Rogers, marketing director at Polyonics, claimed that durability is closely tied to the way that products change to meet consumer demand. Warehouse labels are found in logistics and distribution settings, installed on racks and beams where product is held. These are often barcode labels, designed for optimal visibility and ease of scanning as items are moved in and out of a designated area. Since products are always being transported, often by forklifts and other heavy-duty movers, the natural jostling and shifting of racks means these labels must be extremely resilient to stretching, scratching and tearing, as well have an adhesive backing that is strong enough to bind it to materials like metal, wood and concrete. These labels also stay in place for long periods of time, making fade resistance paramount. Since some warehouse settings may mean exposure to hazardous or corrosive chemicals, liquids or extreme heat, resistance to these elements is also important. 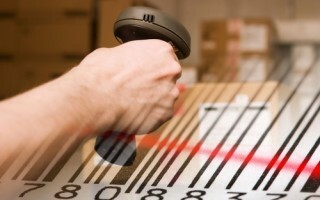 Asset labels are used to track inventory of all kinds, from production all the way to the consumer. As such, these labels have unique functionality when it comes to durability: You want an aggressive adhesive, able to bond firmly with a wide variety of materials and secure the label in place throughout its journey in the sales cycle. At the same time, need the label to be easily removable when it finally reaches the consumer, not leaving any residue or damaging the product. This means the label must walk a fine line and be resistant to wear and tear while still being, at the end of the day, disposable. Like the products they are affixed to, PCB and electronics labels must balance being delicate and resilient. PCB labels are routinely exposed to heat, electrical current and soldering as part of normal wear and tear. Additionally, beyond simply providing classification and installation information to technicians, many of these labels help discharge static as part of their functionality. This helps protect the equipment from static damage. Labels that are used in calibration and certification are all about record keeping: They are affixed to a certain device and contain information about when the device was last calibrated or certified, by whom and how long this certification lasts. Since they are often found in settings like hospitals and biomedical applications, these labels need to be able to stand up not just to daily use, but also advanced sterilization procedures like disinfectant and being run through an autoclave. In each application, the unique need for specific durability and functionality will guide the choice of label material. Thermal transfer labels, for instance, are known for scratch and resistance which, according to Grand View Research Inc’s new report, is a major driver behind the predicted growth of the market. The global thermal paper market is expected to reach $4.77 billion by 2022 – up from $1.02 billion in 2014. At Stranco, we recognize that durable, resilient labels are a key part of maintaining peak operational efficiency. We offer a wide selection of barcode labels for every industry, specializing in matching materials for the needs of a client. Our cataloguer includes a range of blank or pre-printed thermal transfer barcode labels for all your labeling applications. Contact our customer service department for more information and pricing.